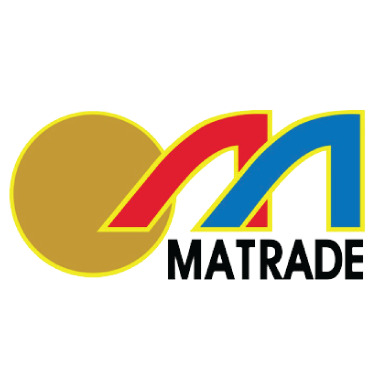 M'sia-China trade tops RM385b: Matrade | Daily Express Online, Sabah, Malaysia. Kota Kinabalu: Malaysia-China bilateral trade reached USD96 billion or RM385 billion in 2017, an increase of 10.5 per cent and accounting for 18.7 per cent of the total trade between China and the Asean. This was revealed by A. Rashid Mohd Zain, Sabah Director of the Malaysia External Trade Development Corporation (Matrade). He said China has shown interest to import more high quality of Malaysian products suited to its domestic demand. "In 2017, Malaysia-China's bilateral investment recorded an increase with Malaysian investment in China registering a value of USD7.58 billion, while China investment in Malaysia was USD5.1 billion. China was the largest investor in Malaysia's manufacturing sector in 2016 and 2017, contributed to technological and industrial upgrading," he said. China is encouraging capable companies from Malaysia to expand two-way investments. Facing rising unilateralism and trade unilateralism and trade protectionism, China is willing to work with Malaysia and other Asean countries to safeguard multilateralism and free trade. China-Malaysia cooperation is built on a concrete foundation and remains vigorous. Prime Minister Tun Dr Mahathir's August 17 to 21, 2018 visit to Hangzhou and Beijing has shown support to the Belt and Road Initiative and willing to improve Malaysian-China ties. Positively, the two sides will steadily advance bilateral relations. The Chinese Foreign Ministry also highlighted that China stands ready to build on Dr Mahathir's successful visit and work with Malaysia on the basis of mutual respect, equality and mutual benefit to move forward bilateral ties along the track of good neighbourliness and friendship, ensure the long-term sound and steady development of China-Malaysia comprehensive strategic partnership, and make greater contributions to regional peace, stability, development and prosperity. China has also agreed to promote more balanced trade while expanding overall trade volume and exploring new cooperation in e-commerce, traditional industries and technological innovation. Dr Mahathir visited Hangzhou from Aug. 17 to 18 where he visited the Headquarters of Alibaba Group and Geely, partner of Proton. Mahathir then flew to Beijing to hold meetings with Chinese leaders. He also visited Da Jiang Innovation (DJI) and National Agriculture Science and Technology Innovation Park, Chinese academy of Agriculture Science. The programme for Mahathir involving Miti, Matrade included 'Business Luncheon with Malaysian Corporate Leaders' which was attended by 150 participants who were Malaysian entrepreneurs based in Malaysia and China at China World Hotel; and 'The China Entrepreneur Club (CEC) Leaders Forum' held at Summit Wing Hotel. CEC is the main sponsored for the programme. The event was attended by 300 participants of which 150 were CEC's members. Miti, Mida and Matrade arranged the 'Business Luncheon with Malaysia Corporate Leaders' event which was attended by more than 150 Malaysian delegations comprising of 58 officials and 92 entrepreneurs. Mahathir in his speech recognised the achievements of Malaysian entrepreneurs in their business in China and expressed admiration for China's achievements in new technology and manufacturing. At the China Entrepreneur Club Leaders Forum, more than 300 participants participated at this programme which comprised of 150 CEC's members and 150 Malaysian businesses and officials. Dr Mahathir, in his speech during the China Entrepreneur Club Leaders Forum, highlighted hopes that more Chinese companies will invest in Malaysia especially in fields such as digital economy, agriculture, auto making and high technology. With more business cooperation between Malaysia-China, the two countries will help to drive economic growth. Prime Minister Mahathir was very positive toward the Belt and Road Initiative, and emphasized that Malaysia will maintain a friendly and cooperative relationship with China, and welcome Chinese businesses to invest in Southeast Asia nations.